The 2016 Whitehorse GAC-MAC Local Organizing Committee, with the assistance of a grant from CGF, recently published the Southern Yukon Geological Highway Map. 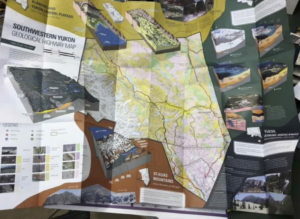 This double-sided geology map is being prepared to promote public interest in the geology of Yukon. 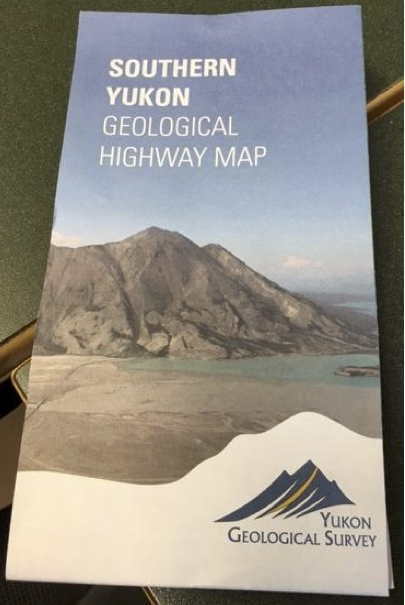 The map will be distributed to local schools, communities and First Nations and be available for Yukon residents and tourists interested in exploring and learning about the fascinating geology of the territory. The map will also be made available for free download on the Yukon Geological Survey’s website and poster versions will be distributed to schools for display in classrooms. Copies of the map will also be distributed to southern Yukon communities and First Nations. This map will serve as an educational resource for those interested in the geology of southern Yukon. There will be a wide audience for this publication ranging from Yukon students, general public, First Nations and visitors to the territory. This map will serve as an inviting introduction to the complex and interesting geology of southern Yukon as viewed from the highways.